A-Plus Dirt Services LLC is the most reliable company in Walker, LA for all your site work needs. No job is too big or too small! We are both licensed and insured and pride ourselves on prompt courteous service with a record that proves it. We always hear "You're the third or fourth company we called, and the only one that showed up!" Give us a call today! A-Plus Dirt Services LLC offers a wide variety of material hauling/delivery (dirt, sand, gravel etc.) Need a house pad built? From mobile home pads to brick and mortar homes, or shops, we've built hundreds of foundation dirt pads over the years. 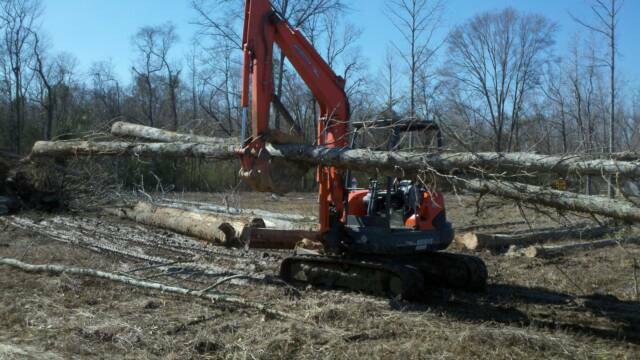 Need land cleared or lot graded? We do that! Need a pond dug on-site? We dig them in all shapes and sizes, and can dig them to your exact specifications. Tired of mowing the front ditch? Let us eliminate that hassle for you by installing sub-surface drainage! We have all the equipment and expertise needed to get your job done! Give us a call today for a FREE estimate. " When you call, we show up!" Or for more convenience send us an email with details about your project, physical location, and contact info. Questions About Our Dirt Services?